Your home is supposed to be a safe retreat from the world, a place where you can enjoy quiet moments, relish the company of friends and family, and work through life’s ups and downs. Anyone who has had their home burgled will tell you that having the perceived security of the home ruined can be pretty traumatizing and make it difficult to feel safe again. 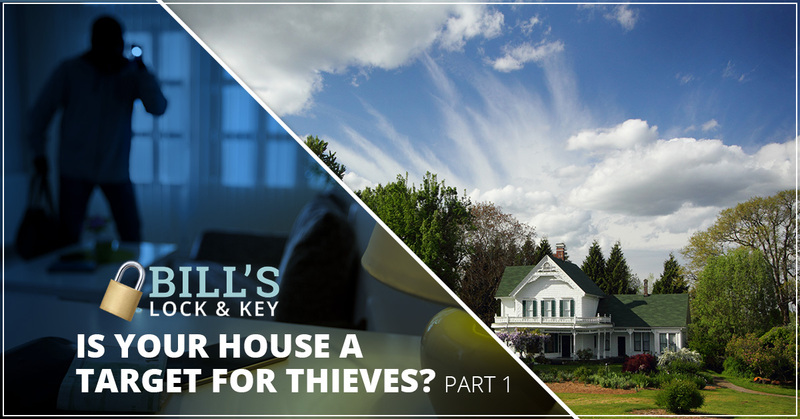 The good news is, there are ways can ensure that your home isn’t worth a thief’s time. 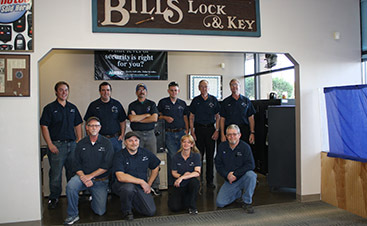 At Bill’s Lock & Key, we work hard to keep the homes and businesses of Albuquerque safe, and we want you to know if you’re handling your security incorrectly. Check out common home security mistakes below. You don’t have a deadlock (or you do have one and you don’t use it). One of the key factors to a successful burglary is having the ability to move quickly. This means that the more you can slow a burglar down, the safer your home is. Burglars tend to avoid deadbolts because they take longer to break. At the very least, you should have a deadbolt on your front door. It’s best to have deadbolts or their equivalent on all of your exterior doors. 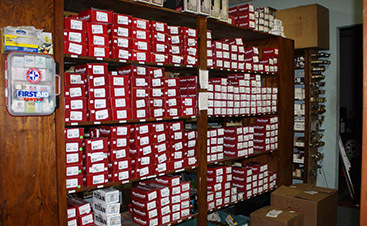 We can consult with you to figure out which locks will work for you, depending on what type of doors you have. For instance, you can’t put a traditional deadlock on a patio door, but there are unique solutions that are just as strong. You don’t handle your windows correctly. A fresh, cool breeze is always lovely, especially at night. Or you might leave on errands and leave the windows open so you don’t come back to a stuffy house. It’s important to understand that burglars generally turn to ground floor windows after not being able to get in through any doors. If you want to have your windows open, be sure you’re around to enjoy it. Whether it’s nighttime or you’re running errands, close your ground floor windows up tightly. Upper story windows can usually be left cracked, but it depends on what you’re comfortable with and whether or not someone could easily climb up to the windows. You take privacy too far. Our homes are our retreats from the rest of the world, and having a place on the edge of a forest, open lot, or field can be a wonderful experience. However, isolation can make you more vulnerable. Your best strategy is to work with your property’s unique features to maintain visibility and safety. A locksmith can be a fantastic starting point here. Give us a call, and one of our security specialists can assess your property and make recommendations for enhancing your safety. You don’t realize your garbage is an advertisement. Need to get rid of the new flatscreen TV box but you don’t want to collapse it? You aren’t alone. Many people toss packaging for expensive purchases to the curb to be picked up. However, the packaging can be a massive advertisement to thieves. Do everything you can do get that packaging into some sort of bin where it isn’t visible to everyone driving by, and your home will be safer. Remember, besides cash, electronics are the most commonly stolen items! 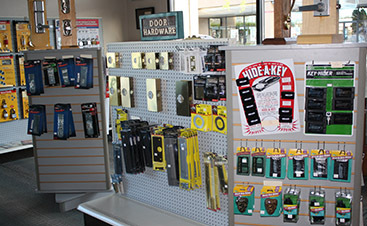 We are proud to serve Albuquerque as the area’s premier locksmiths. Contact us for everything lock-related and be sure to check out Part 2 — we have more tips for you!